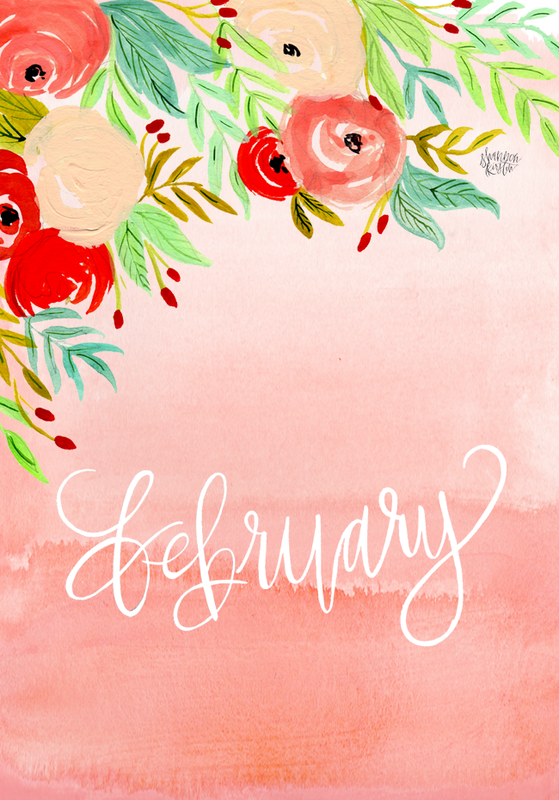 Helloooo February! How did we just let January fly by like that?! It's crazy. I am in full blown production mode for NSS 2016 and also tending to custom wedding suites for Spring. Lots of pretty to share soon! I'm so excited to start offering a monthly desktop /iphone download. I've always loved this idea but had a hard time committing in the past. I paint lots of little extra florals for various projects and some never get used for anything, I thought I would start turning them into fun freebies when I have the time. I vow to try my hardest to get them up a the first of every month! I love this! Especially that it has a calendar on it. 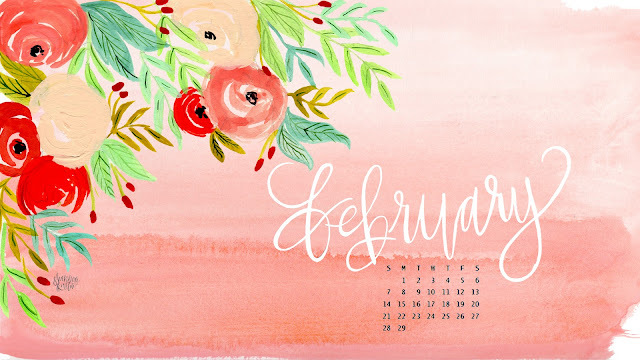 It seems like I always want to look up when some date is, but opening my calendar app takes more work than I would like sometimes ;) first world problems, amiright?? But anyway, very convenient! Gorgeous! I look forward to more like this. are all your cards hand painted! ?